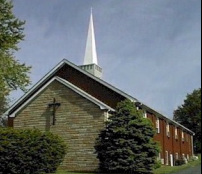 Raritan Valley Baptist Church (RVBC) strives to be a community of believers, where all people feel comfortable, loved, and welcomed. We share God’s amazing grace so God's love may change lives because God’s love has changed ours through Jesus Christ and the power of the Holy Spirit. We attempt to do this in many ways. Worship is the cornerstone of all we do as believers because we stand equally before God, in need of this grace, love and guidance. We worship God through psalms, hymns, and spiritual songs, and through the hearing of and responding to God’s word in its many forms. We strive to be a holistic ministry for everyone through spiritual formation and development, loving and structured programs for children, and the fun of fellowship with one another. Discipleship moves us towards more Christ-like lives through opportunities in both large and small settings of Bible study, prayer, communion, and Christian love. We share a commitment to justice and ensuring that we live as Christ's disciples in both word and deed. We participate in mission and service projects that are local and global. As the body of Christ, we strive most faithfully to make Christ known to all people.